This Week’s Passage: 25 Husbands, love your wives, just as Christ loved the church and gave himself up for her 26 to make her holy, cleansing her by the washing with water through the word, 27 and to present her to himself as a radiant church, without stain or wrinkle or any other blemish, but holy and blameless. 28 In this same way, husbands ought to love their wives as their own bodies. He who loves his wife loves himself. 29 After all, no one ever hated their own body, but they feed and care for their body, just as Christ does the church— 30 for we are members of his body. 31 “For this reason a man will leave his father and mother and be united to his wife, and the two will become one flesh.” 32 This is a profound mystery—but I am talking about Christ and the church. 33 However, each one of you also must love his wife as he loves himself, and the wife must respect her husband. As I pondered this passage this week I was reminded of a way that I should love my wife that I was already familiar with. And I observed a way of loving my wife that I had overlooked all these years. The power of pondering! I should love my wife sacrificially – This is the way I was already familiar with. When I do premarital coaching this is what I talk about with couples. This does not mean, however, that I am good at practicing it. What I note is that it is imperative for the sake of my marriage that I think often and deeply on the cross. That I think intensely about the love that drove Christ to the cross. That I think thoroughly about why Christ had to go to the cross. That I think seriously about what the cross accomplished on my behalf. That I think about the profound sacrifice that Christ made to “save a wretch like me.” The better acquainted I am with Christ’s sacrificial love demonstrated so purposefully on the cross the better I will do at sacrificially loving my wife. 3 words come to mind that help me think about putting this into practice: 1) initiate – The husband is to be the initiator of sacrificial love as Christ was for His bride the church, 2) intentional – The sacrificial love of Christ had intentionality – to bridge the gap that existed between sinners and God. As husbands to our wives we are to love with intentionality – to bring our wives into deeper relationship with God, 3) incarnational – our sacrificial love is to be fleshed out in real and practical ways. It is to be more than just saying “I love you” – it is showing “I love you”… just s Christ did. I should love my wife selfishly – Seriously, that’s what the text says. I had never really noticed this before or given it much thought. The one time the Bible calls us to be selfish is when it has to do with demonstrating love for our wife. Go back and read verse 28. And then note in verse 31 the reminder that when we are married we are “one flesh” with our wives. And because we are one flesh the statement “I love me some me!” takes on a whole new meaning. Now, loving myself means that we selfishly (or perhaps selflessly) look after the needs of our wives – because by so doing we are looking after our own needs – and that is by nature what we do best. So it seems that when we understand what it really means to be one flesh with our wives then we can be as selfish as we want to – at least when it comes to showing love to our wife. So here are my summary take home points from this passage. Look to the cross and love sacrificially. Understand the one flesh principle and love selfishly. They both make perfect sense in light of the gospel. The more you HAVE TO DO the more you HAVE TO PRAY. Martin Luther purportedly said, “Tomorrow I plan to work, work, from early until late. In fact I have so much to do that I shall spend the first three hours in prayer.” Some are not so sure that he actually said this but everyone agrees that it reflects accurately his attitude toward prayer. Me, not so much. My attitude is typically, “I have so much to do that I better get started doing it,” or “I have so much to do that I don’t have time to pray.” I guess that shows just how much I really value prayer. Still hoping that this is changing. I want to want to pray – not just do it because I feel like I should. Not there yet. The MORE YOU PRAY the MORE YOU DREAM and the more you dream the more you HAVE to pray. I do know what he means by this. Some of my best ideas have come to me while I was in prayer mode. You would think that this would motivate me to pray more. A good reminder. WHO YOU BECOME is determined by HOW YOU PRAY. I had to think on this one a bit. Here’s what I came up with. If I pray for material things I will become a worldly man. If I pray small prayers I will become a “small’ Christian. If I pray prayers that are bigger than me then my faith will grow bigger. If I pray to a God that can do great things then I will be used to do great things. If I pray that God would reach the nations with the gospel then I will develop a heart for the nations. If I pray for compassion and a heart that grieves for people who are lost then I will become a man who must find a way to reach them. So… I need to seriously evaluate how I pray. This Week’s Passage: 21 Submit to one another out of reverence for Christ. 22 Wives, submit to your husbands as to the Lord. 23 For the husband is the head of the wife as Christ is the head of the church, his body, of which he is the Savior. 24 Now as the church submits to Christ, so also wives should submit to their husbands in everything. Admittedly, in our culture, the word submit has a bad connotation – especially in our liberated women’s world where it is offensive to think that men can tell women what to do. Agreed. But the cultural understanding and the biblical understanding are two different things. My theory is this – if women understood what biblical submission really was then they they would joyfully embrace it. My working definition for the word “submit” for many years has been this: A wife’s willing response to her husband’s sacrificial love. Verses 25-33 of this chapter (which we will ponder next week) outline the husband’s role in marriage. Primarily he is to be sacrificial lover of his wife. In other words he is to love her in such a way that her wants come before his; her needs come before his; her hopes come before his; her dreams come before his; her pleasure comes before his. Now this is the question that I always ask couples who come to me for premarital coaching: What woman would not want to be married to a man who sacrificially loves her like that. And what woman would not joyfully respond (submit) to her husband’s sacrificial love knowing that whatever decisions he makes on behalf of her and the family are with her best interests in mind, not his. To make a wretch His treasure. Bring many sons to glory. If you don’t establish a PRAYER HABIT you’ll never break the SIN HABIT. You’ve probably heard it said that “sin will keep you from prayer or prayer will keep you from sin.” Confession is not something we do well. We have a hard time admitting that we are wrong. But sin will short circuit our walk with God. A strong prayer life includes a time of allowing God’s Spirit to search our hearts and reveal areas of sin. But if we don’t have a habit of prayer God never gets a chance to do this. I liken it to using dental floss. I don’t like to do it but I know that I need to do it because there is stuff clinging to my teeth and gums that will wreak havoc in my mouth. I might not notice it but my dentist sure will and there will be a painful price to pay. I need to pray because unless I do there is decay happening that will build up and destroy my relationship with God. There are sin habits in my life that will only be broken when I get before God and allow His Spirit to go to work. Prayer is the difference between THE BEST YOU CAN DO and THE BEST GOD CAN DO. When I do not pray I am essentially saying to God that I can handle life on my own – that my strength is sufficient to deal with everything that will come my way. And it is – until it isn’t! Then I find out very quickly how much I need God. It is a humbling thing to admit our neediness. But isn’t that exactly where God wants us to be? In an ongoing state of neediness – drawing on the resources of His strength and letting Him use us as we are fueled and energized by Him. Prayer gives me a chance to express to God that I cannot do it on my own; that I indeed do need Him; that apart from Him I can do nothing. I better wrap this up ’cause I just realized something – I really need to go pray. This Week’s Passage: 17 Therefore do not be foolish, but understand what the Lord’s will is. 18 Do not get drunk on wine, which leads to debauchery. Instead, be filled with the Spirit. 19 Speak to one another with psalms, hymns and spiritual songs. Sing and make music in your heart to the Lord, 20 always giving thanks to God the Father for everything, in the name of our Lord Jesus Christ. It is the word “filled” in verse 18 that I have been thinking on. It is a word that keeps popping up in the book of Ephesians. We saw it in 1:23, “the fullness of him who fills everything in every way.” We saw it in 3:19, “that you might be filled to the measure of all the fulness of God.” We saw it (or a form of it) in 4:13, “…attaining to the whole measure of the fullness of Christ.” And we see it here. 1) To what degree am I filled with the Spirit? Is it even possible to be partially filled? 2) If I am not filled with the Spirit then what am I filled with? 3) How can I get unfilled with the unspirit like stuff and filled with the Spirit? 4) When I get filled do I stay that way or do I leak? And if so, why? And how do I keep from leaking? A country church was having their annual revival meeting. On the first night the preacher preached a message about repentance and the need to return to the Lord. At the altar call, a man came down the aisle saying “Fill me Lord, fill me”.The next night the preacher challenged the congregation with the need to totally surrender their lives to Christ in complete obedience. Again the altar call was extended; like the night before the same man came down the aisle saying “Fill me Lord, fill me”.The third night of the revival preacher warned his congregation of the evils of sin and urged the congregation to live lives of holiness. Again at the invitation was made to give one’s life to Christ, the same man came up the aisle saying “Fill me Lord, fill me”. If the truth be told I believe that we all leak – so we need to continually be being filled with the Spirit. This is why I need to stay in the Word. This is why I need to come before the Father and pray. This is why I need to worship. This is why I need my brothers and sisters in Christ. I want to be filled with the Spirit, filled to the measure of all the fullness of Christ. But if you see me leaking pray for me and help me plug the leaks. 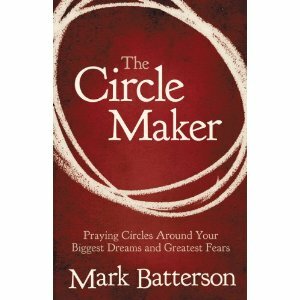 I n his book The Circle Maker, Pastor Mark Batterson, shares a number of prayer principles that succinctly help me to remember some things about prayer. Over the next 4 weeks I’ll share a few of these and make a few comments. Prayer is the difference between YOU FIGHTING FOR GOD and GOD FIGHTING FOR YOU. Yes, we want to fight for God as a part of His army BUT it is much more important that He fight on our behalf. This is where prayer comes in. We do not want to be on the battlefield without Him. He has called us to arms but he has not called us to go into battle alone. He is a fierce fighter – and most battles are lost before they begin because God is not on the battlefield. Prayer turns appointments into DIVINE APPOINTMENTS. I’ve been pondering this past week in Ephesians 5 where Paul says to “make the most of every opportunity because the days are evil.” When I am intentional about praying I am much more tuned in to the Spirit of God and recognize that even random encounters with people are divine opportunities that God has set up for me to take advantage of. Pray like it DEPENDS ON GOD and work like it DEPENDS ON YOU. This Week’s Passage: 15 Be very careful, then, how you live —not as unwise but as wise, 16 making the most of every opportunity, because the days are evil. 17 Therefore do not be foolish, but understand what the Lord’s will is. 18 Do not get drunk on wine, which leads to debauchery. Instead, be filled with the Spirit. 19 Speak to one another with psalms, hymns and spiritual songs. Sing and make music in your heart to the Lord, 20 always giving thanks to God the Father for everything, in the name of our Lord Jesus Christ. As I pondered this week I realize that I bit off more than I can chew. Verses 15-16 is about all i can handle because there is so much in those verses alone to think about. So next week will be a re-do of verses 17-20 for those who are pondering along with me. The first thing I note is that I need to pay attention to context. Why does Paul say to “be very careful how you live”? It is because of what he said in verses 8-14 – “You were once darkness, but now you are light in the world.” We must remember that everywhere we go we incarnate the gospel. And all it takes is one act of NOT being careful and we give the gospel and God a bad taste in other people’s mouths. Not being careful is a major reason why the church of the living God has been labeled as nothing more than a club of hypocrites. Shame on us. There are things that we simply cannot do any longer once we pledge our allegiance to the Lord. Paul is not saying that we have a bunch of rules to keep. he played that religious game and it got him nowhere. Elsewhere he talks about the immense freedom that we have in the Lord. But it is a freedom not to do what we want but to do what is right and what will bring glory and fame to the name of Christ. When we live carefully and when we live wisely we understand that there are things that we cannot do and so we joyfully don’t do them. 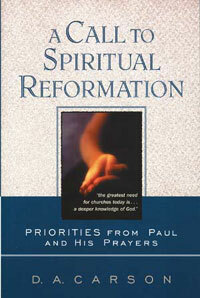 But Paul also says there are things that we can do when we live carefully and wisely. We can “make the most of every opportunity.”. This means that we are to be an intentional people of action. I don’t know about you, but as I reflect on my days I recognize that there are a lot of missed and wasted opportunities. Paul reminds us that the days are evil. What does he mean? I think he wants us to remember that the evil one is on the attack. He is not being lazy when it comes to the business of subverting the work of the gospel by spreading lies and destroying the lives of believers. John 10:10 says that “he came to steal, kill, and destroy.” You don’t have to look very hard to see where he has had success. It is exactly because the days are evil that believers must make the most of the opportunities we are given. The evil one certainly is. We are the instruments that God has chosen to use to spread the gospel and reach the nations. He did not ever say to his disciples, “Go into all the world…” and if that doesn’t work then we will go to Plan B. There is no Plan B. Therefore it behooves us to make the most of EVERY opportunity that comes our way. My Comments: That second quote is worth pondering. There is a lot that is said that may be glossed over if you do not take the time and intentionally think about what it says.